Kirsten supports individuals with polycystic ovary syndrome and digestive health problems, such as IBS (Irritable bowel syndrome), Coeliac Disease and Acid Reflux (Heartburn). 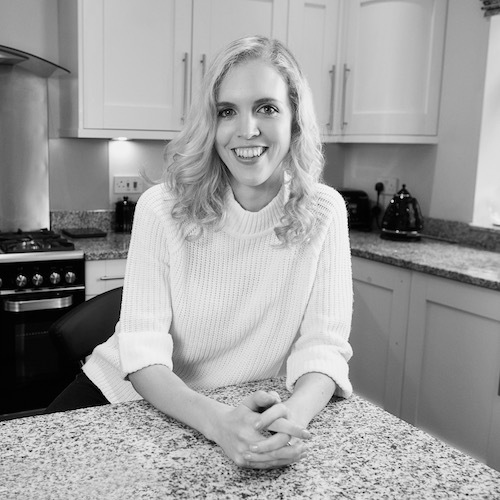 Specialist Dietitian Kirsten Jackson founded The Food Treatment Clinic in 2015 after struggling for several years of her life, with digestive health problems and PCOS which made it difficult when trying to manage a busy and hectic schedule. Having this personal experience has allowed her to build a service which completely understands what it is like for others struggling with similar health issues. After initially gaining an understanding of how PCOS and digestive symptoms related to diet, Kirsten went on to become a specialist gastroenterology dietitian. By providing a service to individuals which goes above and beyond a consultation or standard diet sheet, Kirsten has been able to achieve real results for her clients which would not have been possible in the current NHS climate. Stood up in front of world leading experts to tare a consultants presentation apart at a conference. He was advising that the low FODMAP diet was a load of rubbish despite the multiple RCTs. What is your current life philosophy? What 3 things do you treasure the most? How would your greatest friend describe you in three words? How did you first become interested in Gut Health? Where do you see the future for Gut Health awareness in the UK? Dietitians taking a stand as the leading experts to provide trusted and accurate information. Also a huge push in generating more research in the area. How did you come to be interested in gut microbiome? There was always a missing link in gut health and with recent research we are now piecing this together. I have seen first hand how things like probiotics can help my clients and equally, the negative impact of anxiety through the gut-brain axis. What achievement are you most proud of in your career so far? Setting up my own company and employing others by the age of 29 as well as speaking in parliament about IBS. What is your favourite gut health fact or quote? The microbiome is an organ in its own right. I just love this idea as we always worry about our heart and wouldn’t smoke due to our lung health, yet we don’t really consider our microbiome as an organ in its own right.